Apple made a big deal of third-party Siri integration when it introduced iOS 10 last year, but you may have noticed that you can't order your favorite apps around by default —here's how to make it work. 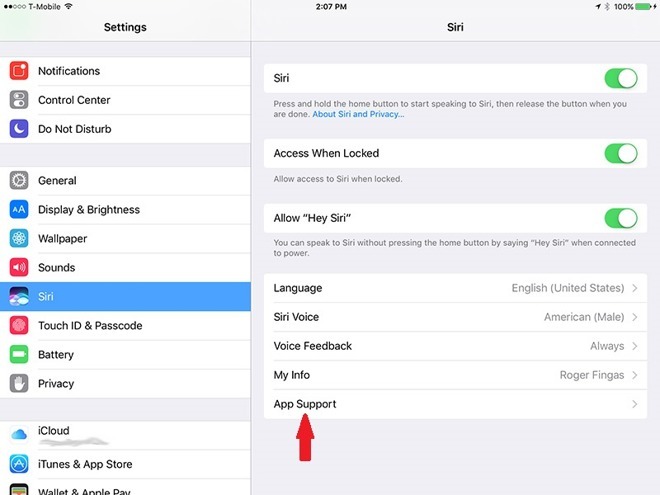 First, open up the Settings app from the iOS home screen, then scroll down to the Siri menu option. Here's where Apple's been needlessly cryptic, as the next step is tapping on a vague "App Support" option. The truth is that third-party Siri support is off by default, and has to be manually toggled on app-by-app for titles that support the technology. And there aren't many that do at this time. As you can see, on an iPad with over 100 apps installed very few are Siri-compatible, and the situation isn't much better on iPhones. 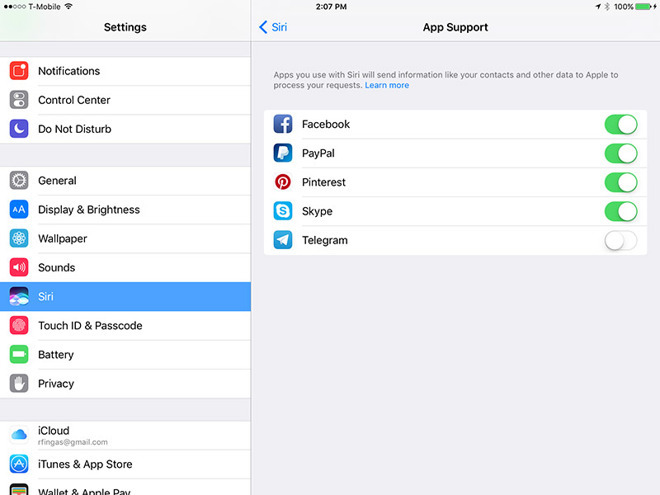 It can also take some extensive web searches to figure out what commands Siri will accept from which apps. One common trope, though, is that you have to mention an app by name. 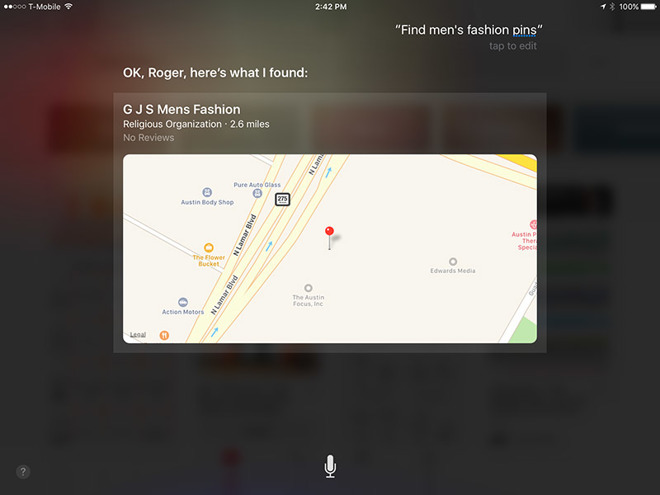 While saying "find men's fashion pins on Pinterest" will generate results, for example, just saying "find men's fashion pins" will not only fail to open Pinterest, but potentially create wacky consequences as Siri tries to interpret what you mean. Some other potential commands include "get me an Uber/Lyft/etc. to..." for ride-sharing apps, "call [contact name] on Skype," or "send [dollar amount] to [contact] using PayPal/Cash/etc." In some cases it might just take experimentation to figure out which phrases will work.